If you are in you twenties or thirties then you fall into the category of “Gen Y” as it is commonly known. You are probably young, healthy, tech savvy and the topic of ‘estate planning’ is probably not on the top of your to-do list. Maybe it is, but you have just put it in the “too hard” or the “I will get to it later” basket. 1. Even though you may only be in the early stages of your career, you have still accrued superannuation – so where will it go after you die? Your superannuation is separate to your Will and therefore does not automatically form part of your estate when you pass away. Every superfund is different as to how they deal with your superannuation. Some will allow you to make a Binding Death Benefit Nomination, others will allow you to make a nomination that is non-binding, others will not allow you to make a nomination at all and others will pay directly to your Estate. It is important that you check with your super fund to ensure that you have made a Binding Death Benefit Nomination. If you do not nominate anyone, the trustee of your superannuation fund has the discretion to decide who your death benefits are paid to. 2. You are not invincible – so who is going to pay your bills, sign documents on your behalf, take care of you financially, legally, medically and personally if an accident happens and you lose capacity to do these things for yourself? An Enduring Power of Attorney (EPOA) enables you to appoint someone (such as your parents, partner or close friend) as your attorney and that person will be responsible to look after your finances and/or health and personal matters should you lose capacity. It is a common misconception that EPOAs are only for older people who may develop Alzheimer’s or dementia, however you never know when an accident may happen which causes you to lose capacity at a younger age. If you do not have an EPOA in place and you lose capacity to make decisions for yourself, your family may have to apply to the State to become your legal guardian, which can be time consuming and costly. 3. Your digital estate – who will take control of social media accounts and passwords? Mot Gen Y-ers have one or more of the following online platforms: Facebook, LinkedIn, Twitter, Instagram, YouTube, Pinterest, email, debit cards and online membership subscriptions. It is important that someone you know and trust is able to locate these accounts and details if they need to manage your affairs if you become incapacitated. You might not have acquired property, saved up a large sum of cash or have an investment portfolio, but have you ever considered the what will happen to your ‘digital estate’? This is an often overlooked aspect of estate planning particularly relevant for Gen-Ys and comprises things like email, followers on social media, email subscriptions and accounts (eg. iTunes library), and copyrights in photos, videos and music you have created, downloaded or purchased online. If you pass away and the appropriate steps have not been implemented before hand, then access to and use of the potential digital asset following your death may be lost. 4. You may not have a house, or children, or significant assets, but what about your pet? It is becoming increasingly more common for clients to instruct us to provide for their pets in their Wills. This is because pets become part of the family and to some people, pets are like their children. There are different clauses that can be used to provide for pets, the most common being who the pet is to be given to when you pass away and trust structures for the care and maintenance of pets with back-up guardians. Whatever you desire, you should discuss this with the family member or friend you wish to look after your pet to ensure they are willing to take on this responsibility. Just because you are young and we are encouraging you to have your estate planning documents in place does not mean that they are permanent or any decisions that you make are final. In fact, we encourage clients to review or amend their estate plans every few years, to account for changes in the law, or a change in the client’s circumstances (ie, marriage, divorce, children, a change in their financial situation). On some occasions, we will draft Wills for clients as a “stop gap” type measure. For example, where a separation has occurred and one of the parties changes their Will, in anticipation of divorce. Similarly, clients may make their Wills in anticipation of marriage. Even if you don’t want to make any amendments to your Will, we still recommend that you at least review your estate planning documents every five years, as a minimum. Ultimately, having a Will, Enduring Power of Attorney and valid Binding Death Benefit nominations in place does not have to be expensive, time consuming or complicated. However, it can be expensive, time consuming and complicated for the people you leave behind if you don’t have estate planning documents in place. 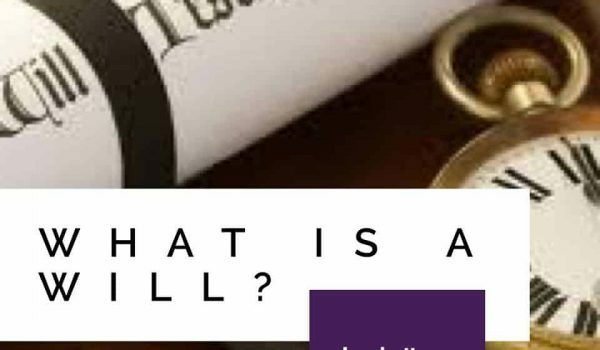 Our Wills and EPOAs are prepared for a low fixed fee, and discounts apply if you and your spouse/partner requires a Will and EPOA that are substantially the same. We also offer clients the option to complete a Will Instructions form so that we can take their instructions electronically and draft their documents without them having to attend our office. If you require a Will or Enduring Power of Attorney, please contact us on 3870 8244 (Toowong office) or 3264 7692 (Albany Creek) and we would be happy to assist.